This 2 day adventure is pefect for those traveling on their own and only have a short time to enjoy the fascinating area of Monteverde in Costa Rica. Monteverde is about 4 hours from most places in Costa Rica and one day is just not enough to visit this area and so our two-day tour gives you a chance to see the highlights! The Cloud Forests in the Monteverde area provide a safe haven for hundreds of mammals, birds, insects and species of plants. 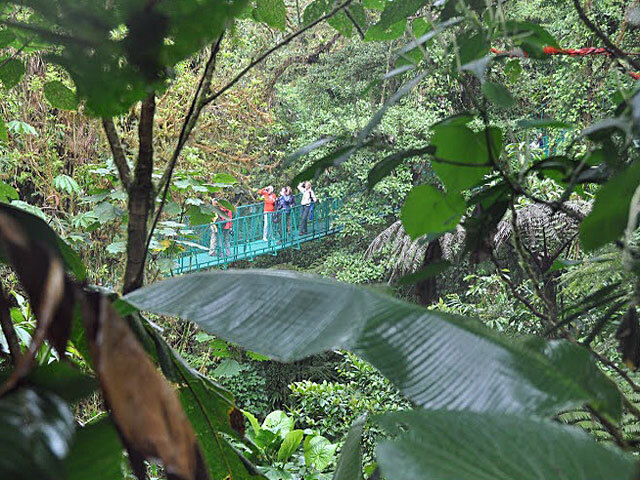 A visit to Costa Rica would not be complete without seeing this ecological paradise. Early morning .....A safe and comfortable, shared shuttle will take you from San Jose to Monteverde - about 4 hours. The shuttles can pick up from most hotels in downtown San Jose and some hotels near the airport (and if not you can take a short taxi ride to Denny's Restaurant, 2 min from the airport, opposite the Holiday Inn Express where the shuttles can pick up from). We can also arrange shuttles from main beaches or taxi-boat-taxi from Arenal please inquiry). Or for an extra charge we can arrange completely private transport for you! The journey up to Monteverde is an adventure in itself. You will wind up mountain roads with amazing views of the forests in the distance and the Gulf of Nicoya. When you arrive in Monteverde, you will have time to check in or if your room is not ready yet, you can safely leave your bags in reception and grab a bite to eat. 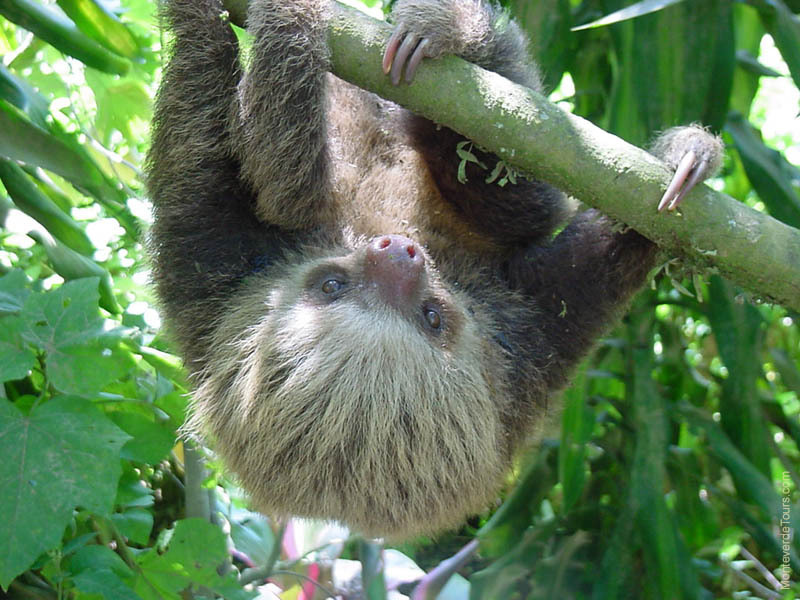 Afternoon.... No visit is complete without doing one of the famous canopy tours in Monteverde! 100% Adventura Canopy Tour has the longest zipline (1590 meters) in Latin America! The tour includes 11 ziplines, a swinging rope bridge, an exciting rappel and 2 thrilling superman cables (where you literally fly through and over the forest face-forward, just like superman! Also included is a MEGA Tarzan Swing: this swing to a height of 45 meters (148ft). The 11 cables that are connected to platforms located high in the trees. You will be fitted with specialized equipment (harnesses, gloves and helmets) and given an explanation of exactly what this exciting adventure entails and what you have to do. The first cable is shorter and slower so that you have a chance to practice. 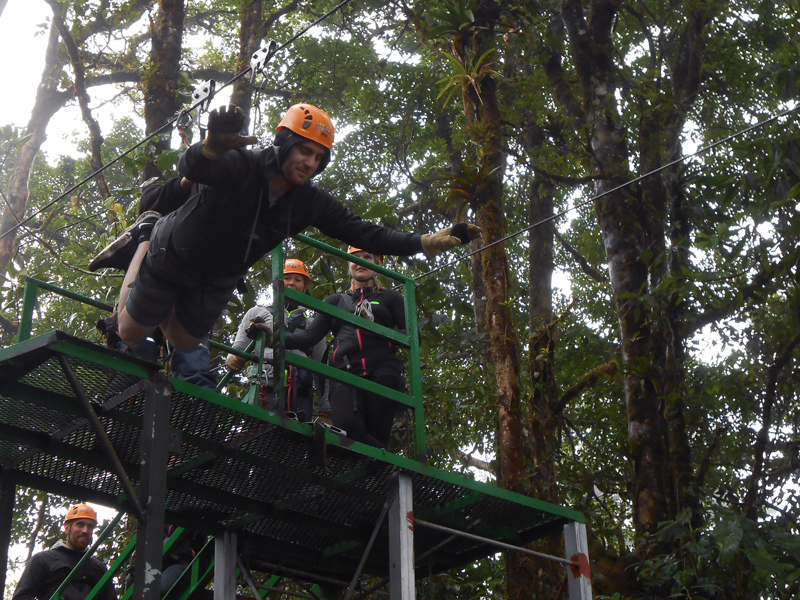 The cables traverse from tree to tree and you will ´glide´ along the ziplines, stopping at each platform along the way. Early Evening ..... Widlife Refuge Night Hike. Ever wondered what makes that sound in the forest? Or what activities occur in the twilight and evening in the forests? Now is your opportunity to find out! A naturalist guide will take you on this fun, informative hike through a series of trails that will afford you the opportunity to observe the nightlife of a premontane forest. 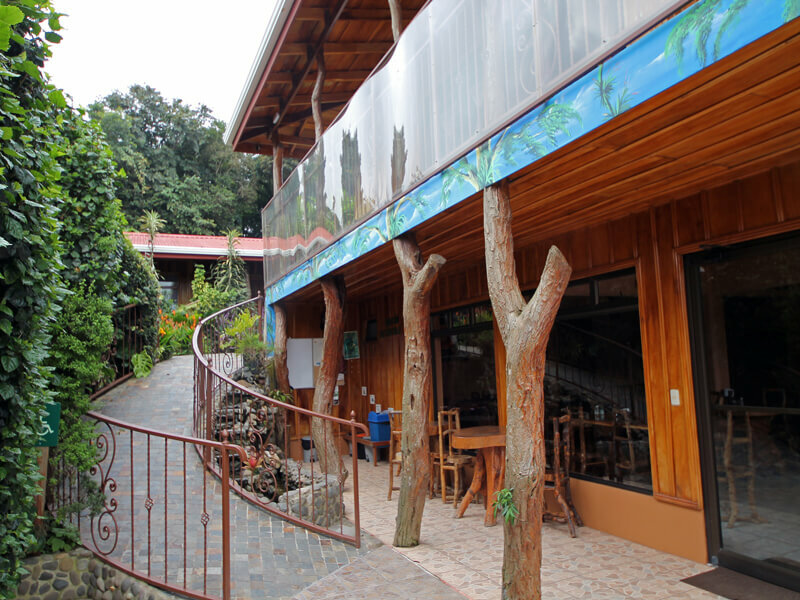 Friendly, family-run hotel in an excellent location in Monteverde. The hotel is just a 5 minute walk from the main town area of Santa Elena, making this small, personal hotel a good choice for those who are looking for accommdation in easy reach of restaurants and the services of town. The breakfast room is charming with unique wooden furniture! The rooms have private bathrooms with hot water. A complementary breakfast is served in the hotel's dining area. * HOTELS CAN BE UPGRADED FOR AN EXTRA COST . 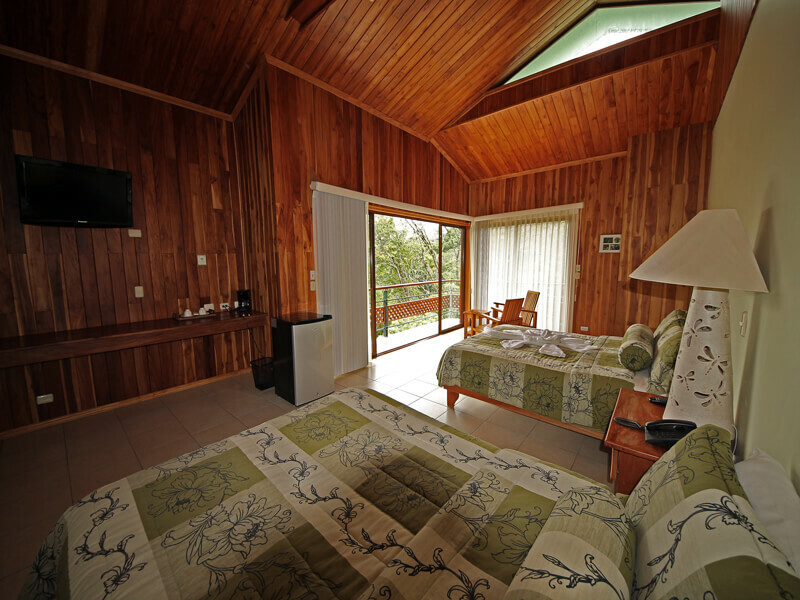 THE HOTEL SHOWN IN THE PACKAGES ARE TO GIVE YOU AN IDEA OF PRICE, IN MONTEVERDE WE SUGGEST UPGRADING TO FICUS HOTEL. BUT WE CAN ALSO USE OTHER HOTELS. PLEASE INQUIRE. 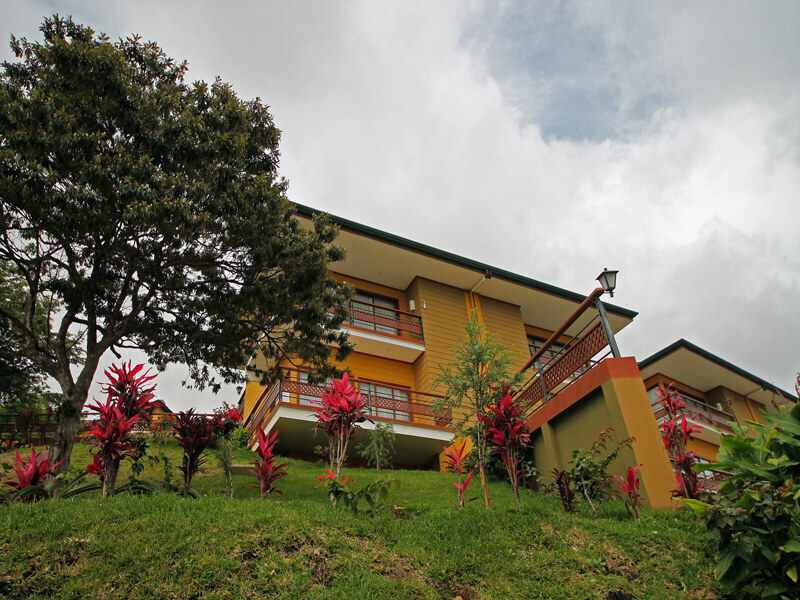 Ficus Sunset Suites is a modern hotel located in the heart of Santa Elena, Monteverde. The hotel is surrounded by pretty vegetation. From your balcony you will enjoy green rainforest around and panoramic views of the hillsides of Monteverde or some cabins face the forest. 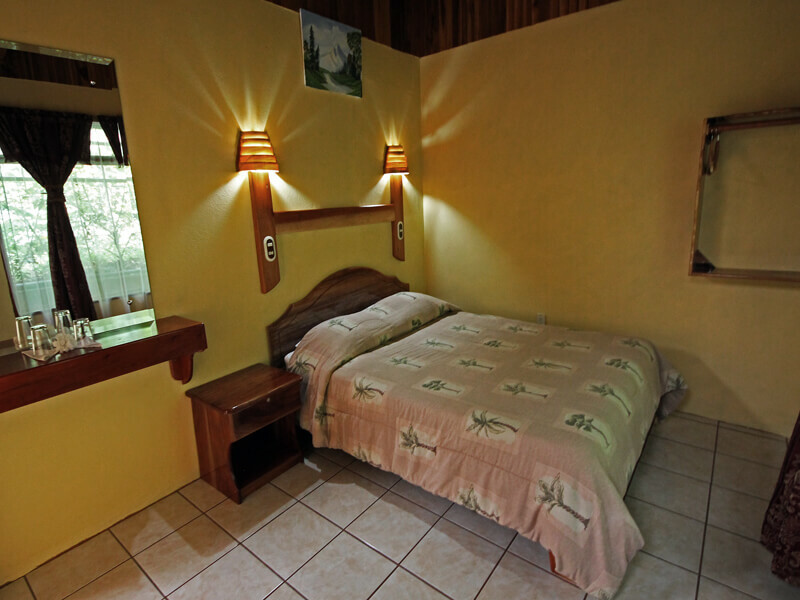 The hotel is just 5 minutes walk to the center of Santa Elena and has a full international restaurant and bar. Breakfast is included. As the bridges are suspended they do bounce a little. Overall the feeling is pretty secure due to the high railings and solid structure. Unless you have an acute fear of heights this should not be a problem. The bridges offer a nice perspective with plenty of time to look around and take photos. You can see many small trees and ferns from above and also admire birds that inhabit the upper regions of the trees. The trails are in excellent condition! AFTERNOON.. Shared Shuttle to San Jose (we can also arrange shuttle to main beaches or taxi-boat-taxi to Arenal please inquiry). The shuttles can drop at most main San Jose downtown hotels, a few hotels near the airport and the airport itself. * HOTELS CAN BE UPGRADED FOR AN EXTRA COST. THE HOTELS SHOWN IN THE PACKAGES ARE TO GIVE YOU AN IDEA OF PRICE, IN MONTEVERDE WE SUGGEST UPGRADING TO FICUS HOTEL BUT WE CAN ALSO USE OTHER HOTELS. PLEASE INQUIRE FOR COSTS. What to Bring: T-shirts, shorts, long pants, sweater or light jacket, sandals, light hiking boots, rain jacket, sun screen, insect repellant, any personal medication, traveler's insurance recommended, full passport, and credit cards (VISA, Mastrcard best - other cards can be difficult to use in Costa Rica). Adventure tours such as hiking require physical effort. Clients should be in good condition. 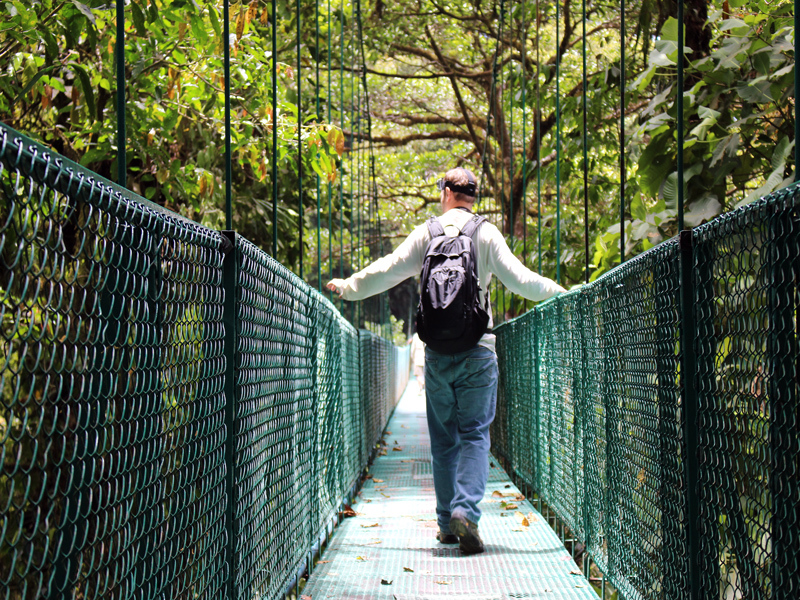 For client safety and enjoyment, Monteverde Tours reserves the right to offer a substitution, postpone, change or cancel any tour due to unfavorable conditions. Full refund is given if (on rare occasion) a tour is cancelled by the operator. Monteverde Tours and its affiliates are not responsible for lost, stolen or damaged items.